The US Amateur Championship gets underway this morning at The Riviera Country Club and the Bel-Air Country Club, in Los Angeles, California. Outside the USA, who has 251 competitors, Australia will field the highest number of foreign competitors with 11 Aussies competing in what is believed to be a record number at the championship. Harrison Endycott, 21, is competing in his second consecutive US Amateur and helped Australia claim its fourth World Amateur Team Championship in 2016. Endycott rallied to win the 2016 Porter Cup with a final-round 66 and posted wins in four other tournaments last year. Min Woo Lee, 19, defeated Noah Goodwin, 2&1, in the 36-hole final to win the 2016 US Junior Amateur. He became the fourth international champion of the Junior Amateur and the first male Australian in 10 years to win a USGA title. Min Woo was the runner-up in the 2016 Australian Amateur and advanced to the Round of 32 in this year’s British Amateur Championship. He is playing in his fourth USGA championship after reaching match play in the 2017 US Junior Amateur. 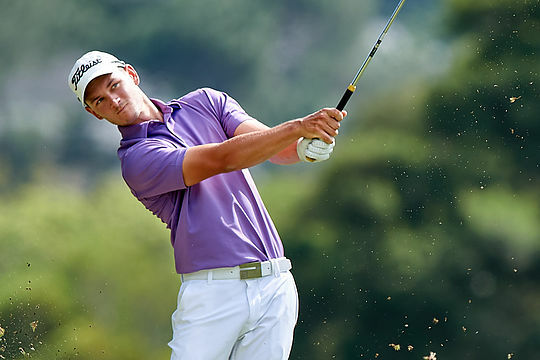 Dylan Perry, 22, is playing in his first USGA championship. He was the runner-up to Harry Ellis in The British Amateur Championship losing in 38 holes. Perry also tied for 10th in this year’s European Amateur. Karl Vilips, 15, won the 2017 Southern Amateur and matched Bob Jones (1917) as the youngest champion in tournament history. Vilips competed in his first US Amateur last year and is a four-time World Junior champion. He won this year’s AJGA Polo Golf Junior Classic and was runner-up in the Western Junior. Scott Gregory, 22, of England, who qualified for match play in the 2016 US Amateur. He won the 2016 British Amateur Championship at Royal Porthcawl in Wales. Gregory, who advanced to the Round of 16 in this year’s Australian Amateur and won the New South Wales Amateur, was also the 2014 English Amateur runner-up. Connor Syme, 21, of Scotland, competed in this year’s Open Championship and reached match play in the British Amateur Championship. He has recorded top-10 finishes in the Scottish Stroke Play (5th), Irish Amateur (T7th) and Brabazon Trophy (T8th). In 2016, Syme won the Australian Amateur and was medalist in The British Amateur Championship. American Will Zalatoris, 20, of Texas, earned first-team All-America honors and won the 2014 US Junior Amateur. Zalatoris is competing in his fifth consecutive US Amateur, including three straight in which he has advanced to match play. The US Amateur consists of 36 holes of stroke play on Aug. 14 and 15, after which the 312-player field will be reduced to the low 64 scorers. There will be six rounds of match play, starting Aug. 16. The quarterfinals and semifinals are slated for Friday, Aug. 18 and Saturday, Aug. 19, respectively. The championship is scheduled to conclude with a 36-hole final on Sunday, Aug. 20.